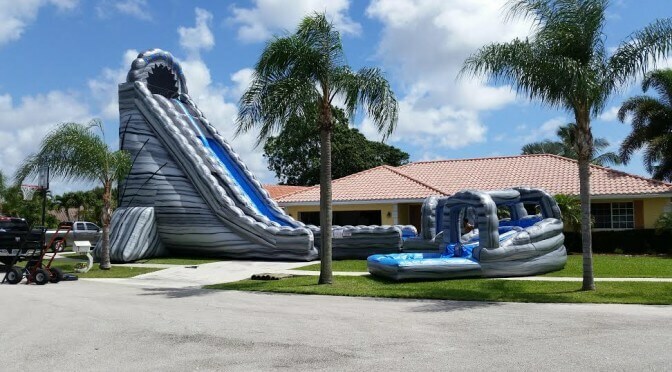 Thank you for your interest in South Florida Bounce & Slide! Home of the GIANT Water Slides and cleanest equipment in the business. We have received your information and one of our party specialists will be contacting you to answer any questions you might have and to book your party. WATCH OUT! Here comes the Tsunami! 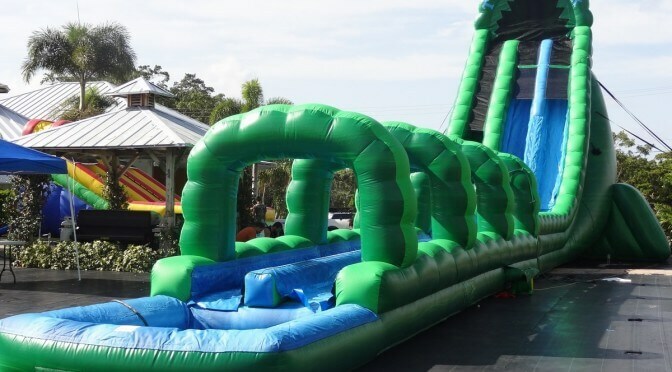 Ride the wave on this huge 30 ft tall double lane water slide. Surf down 70ft through the white water and plunge into the tidal pool at the end. This is the tallest, fastest, most adventurous water slide in South Florida. BEWARE!! 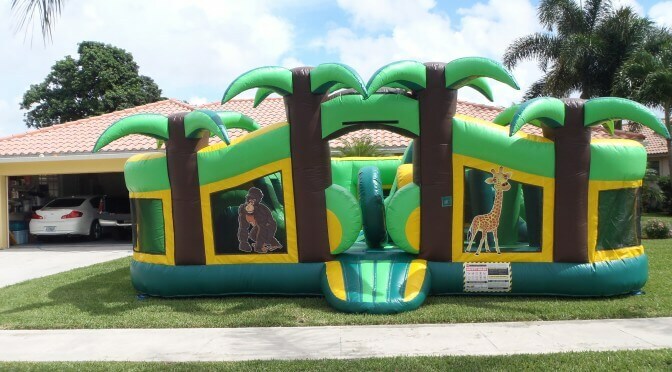 This Zoo themed toddler Bounce house Combo is great for the little one's. It has plenty of activities for to keep them busy for hours. 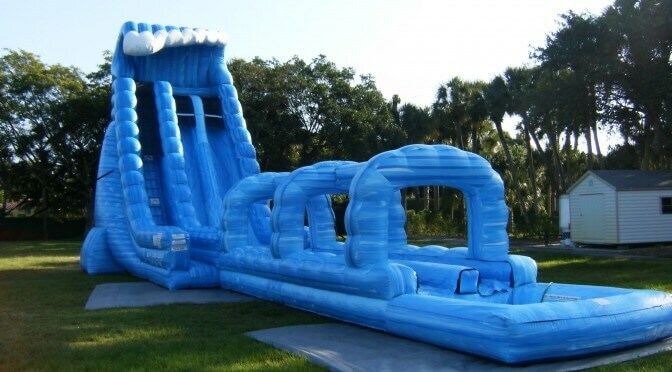 Including inflatable animals to play with and a slide and tunnels for extra fun! 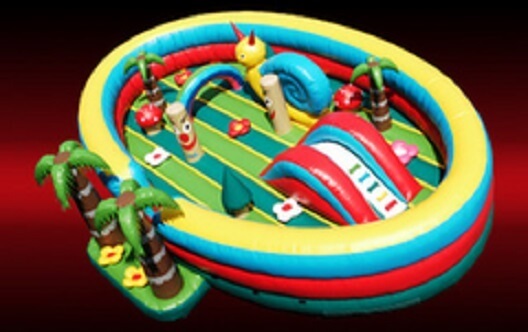 From the moment a child enters this all new fairyland - themed inflatable wonderland of jumping, climbing, sliding and playing with friends - they'll be delighted and entertained for as long as you let them. Bright cheerful colors, everyone's favorite inflatable animals, gentle obstacles and a fun-sized slide all add up to a great time! 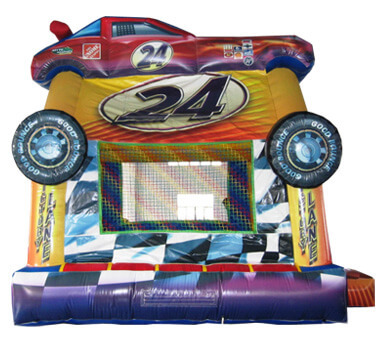 This Deluxe Bounce house is extra large jump with awesome art work fit for any racecar enthusist in training, no matter the occasion. 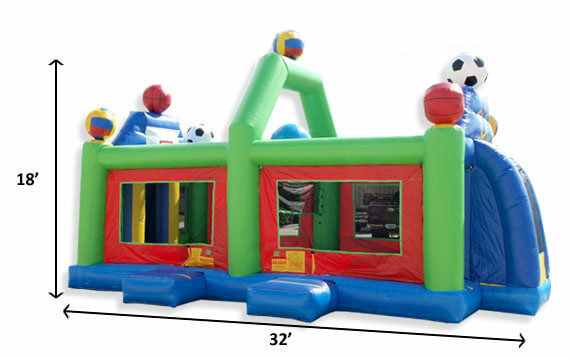 Ideal for a birthday party or kid-filled event, participants can jump for hours on end, which makes this jumper a great way to promote fitness and entertainment.